The MEX-N5200 BT brings improved communication and illumination to any journey. Dual Bluetooth connection lets you connect a second smartphone wirelessly, so you can make and receive additional hands-free calls. And with the two-zone illuminator, you can match the receiver's frontal lights to your car's colours. With five times the contrast of conventional screens, plus an optimised viewing angle, the screen is always easy to read. 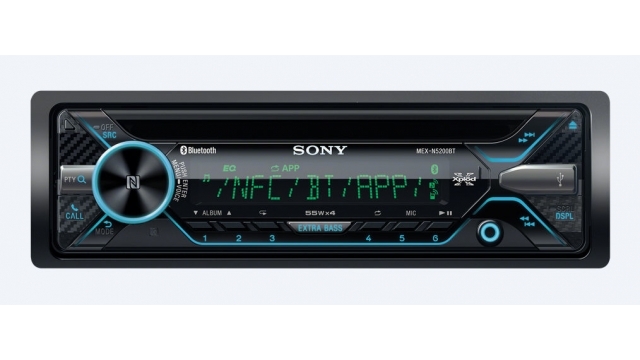 Enjoy twice the connectivity and twice the colours in your car, with the MEX-N5200 BT Bluetooth CD receiver. Dual Bluetooth connection means you can connect two smartphones wirelessly, with the second being exclusively for making hands-free calls. The two-zone illuminator lets you choose from 35,000 colours to match your car's interior.